Girls’ self-respect is under attack from all sides today. Magazines & ads promote unattainable, unhealthy body images. Half-naked women are music video accessories. 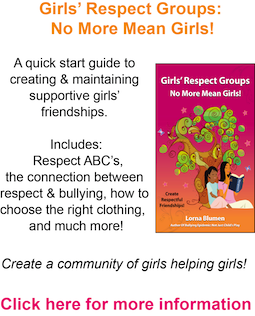 Girls bully each other in school & online, hurting feelings & damaging self-confidence. Girls’ Respect Groups is a unique program for middle school girls, led by high school teen girls. Working together, both sets of young women explore how respect can affect the rest of their lives & learn to make choices rooted in self-confidence and self-respect. 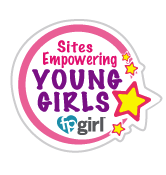 Build a positive community of girls helping girls!